We strive to have every client absolutely and unequivocally pleased with our work. By specializing in four key markets, we deliver quality and consistent results every time. Our clients expect exceptional care and attention and we have formulated our core team to meet their expectations. 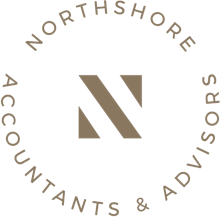 Founded in 2000, Northshore began as a home-based business providing bookkeeping and controllership services to one client. Relying on reputation and referrals, our client base grew from one client to a full scale business serving more than a thousand clients across Canada and the United States. As our clients’ needs grew, we built our team and moved to the current location. Prior to founding Northshore, Evan Engell held controllership and senior level executive positions in the retail, transportation and publishing industries. Evan’s volunteer experience includes holding board and executive positions with the Association of Tax & Accounting Professionals, Big Brothers Big Sisters, Long Point Country Chamber of Commerce, Long Point World Biosphere Reserve and the Norfolk County’s Tourism and Economic Development Advisory Board. He stays current with changes in taxation and technology, and encourages the team to provide professional and high quality work to clients. Life outside the office has Evan mountain biking, playing shuffleboard provincially and internationally, or hitting the pickleball courts. Cody Engell has had a wide variety of post-secondary programs under his belt. He has earned the “Distinguished Financial Adviser – Bookkeeping” designation and handles most of the day to day operations at Northshore. He has served as a board member for the Long Point Country Chamber of Commerce and is actively involved in the Association of Tax & Accounting Professionals. Cody is a former provincial and national freestyle wrestling champion, and when he is not working he enjoys mountain biking and weight training. Sharing documents has never been so easy; our clients can now securely upload documents through our Client Portal.